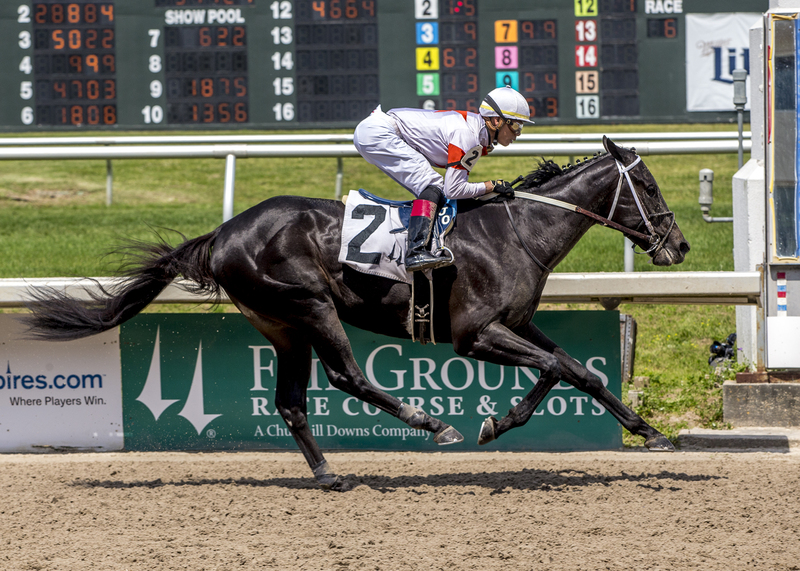 On Sunday afternoon, Louisiana horsemen and women gathered at the Equine Sales facility in Opelousas to honor the 2018 Accredited Louisiana Bred Champions and their connections at the Annual Meeting and Awards Banquet. 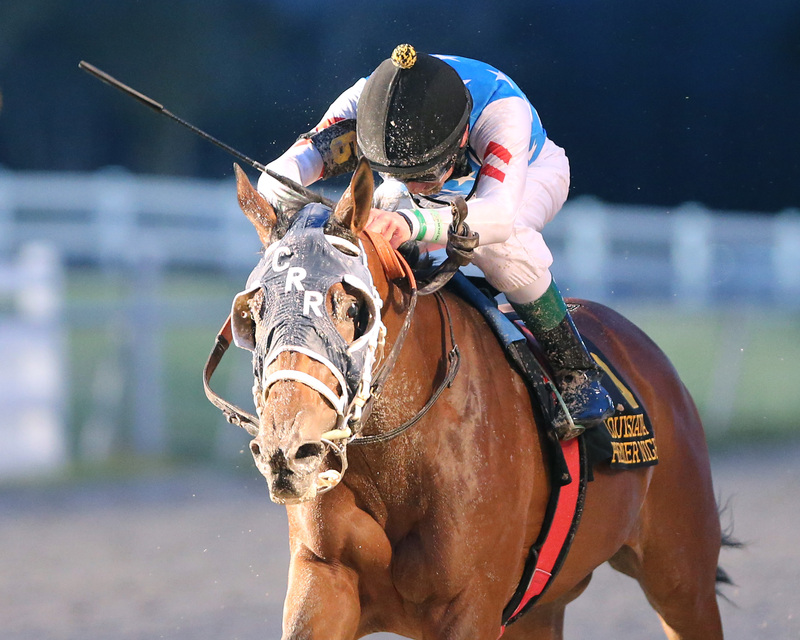 While the majority of the award winners had been announced previously, the overall horse of the year was named at the banquet. 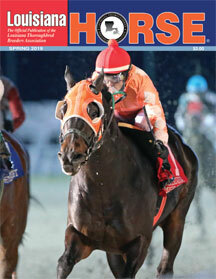 Voted on by the LTBA Board of Directors, this year’s Louisiana Bred Horse of the Year is Monte Man. 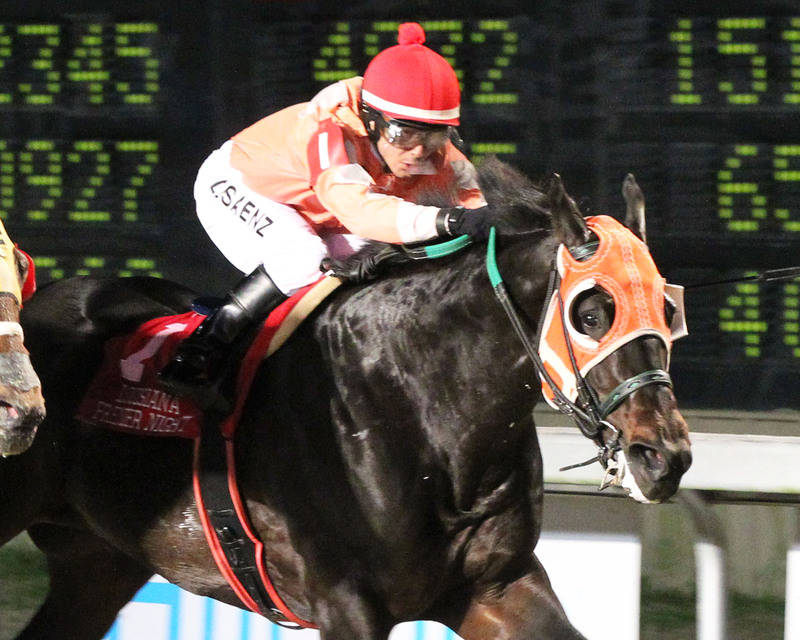 Grande Basin Takes Star Guitar S.
Breeder: Cloyce C. Clark Jr.
VINTON, LA. 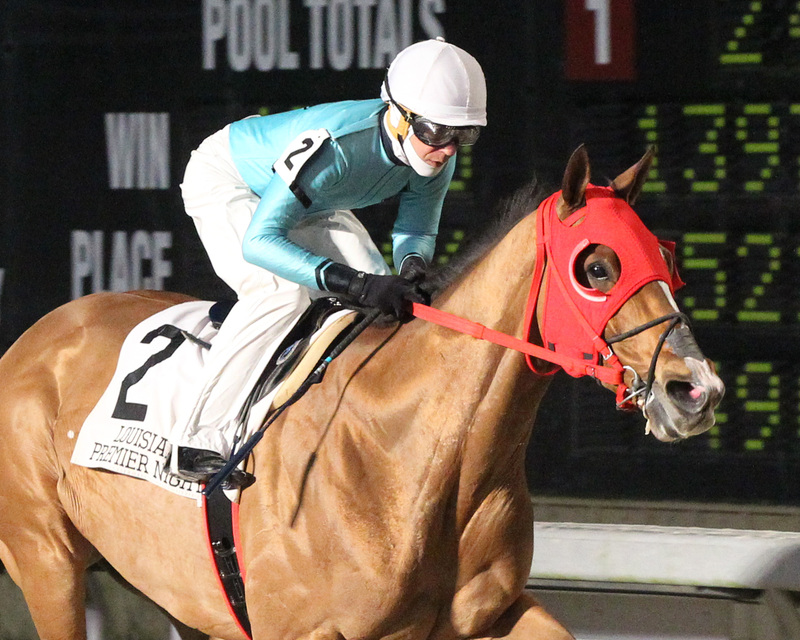 – Delta Downs hosted the $68,000 Owner Appreciation Distaff on Friday night and it was Brittlyn Stable, Inc.’s Testing One Two who came away with her second stakes win of the season under jockey Diego Saenz. Testing One Two is conditioned by Victor Arceneaux. 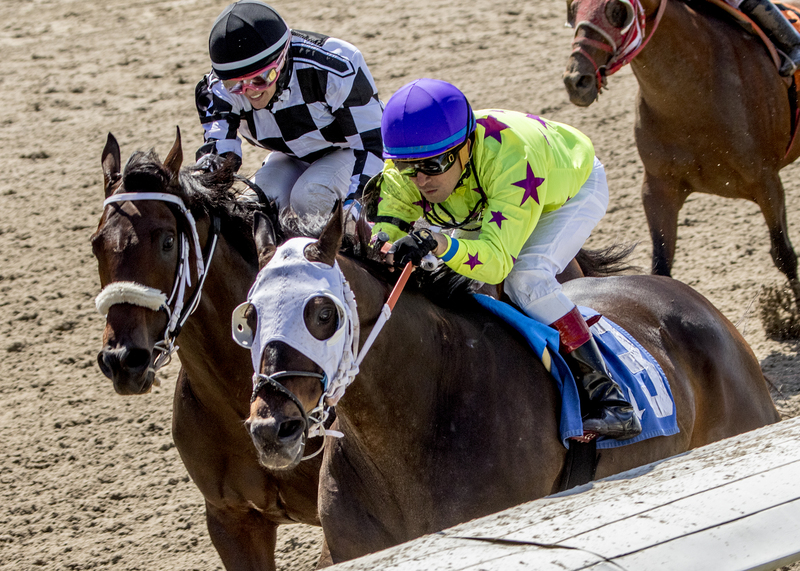 Testing One Two used a perfect trip in the Owner Appreciation Distaff as she stalked an early speed dual between Americium, Arch Arch Baby and Cause You Can. 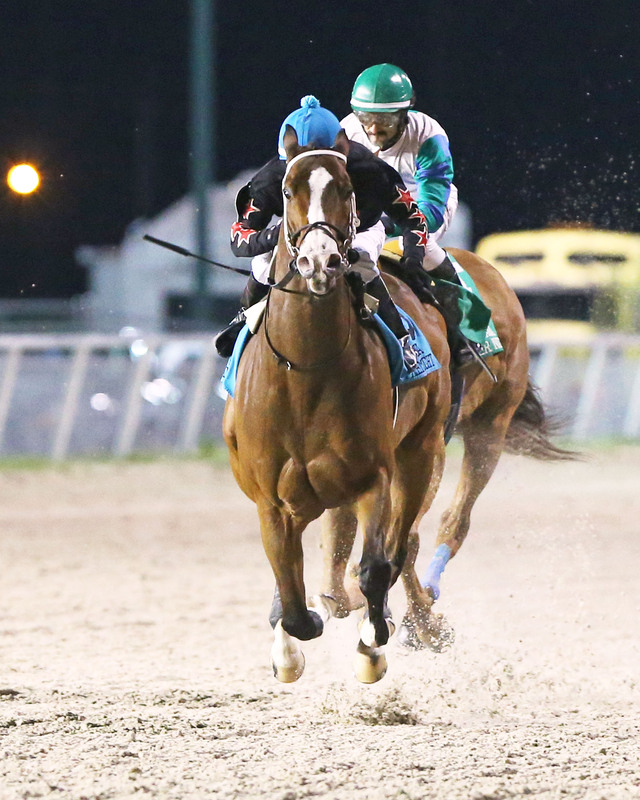 That trio volleyed for the lead through opening fractions of 22.89 seconds for the quarter-mile, 47.52 for the half and 1:13.52 for three-quarters. 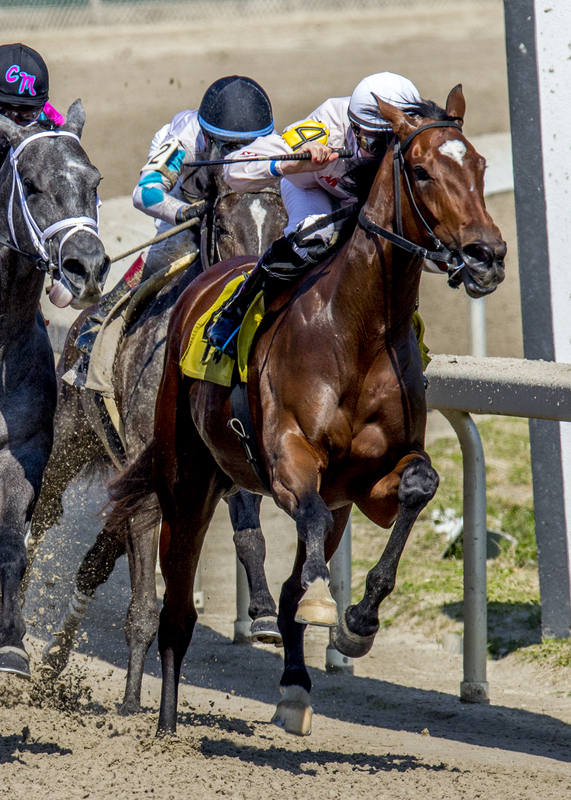 When the field reached the second turn of their one-mile journey, Testing One Two put the leaders away and set sail for home while opening up a clear lead in the stretch. 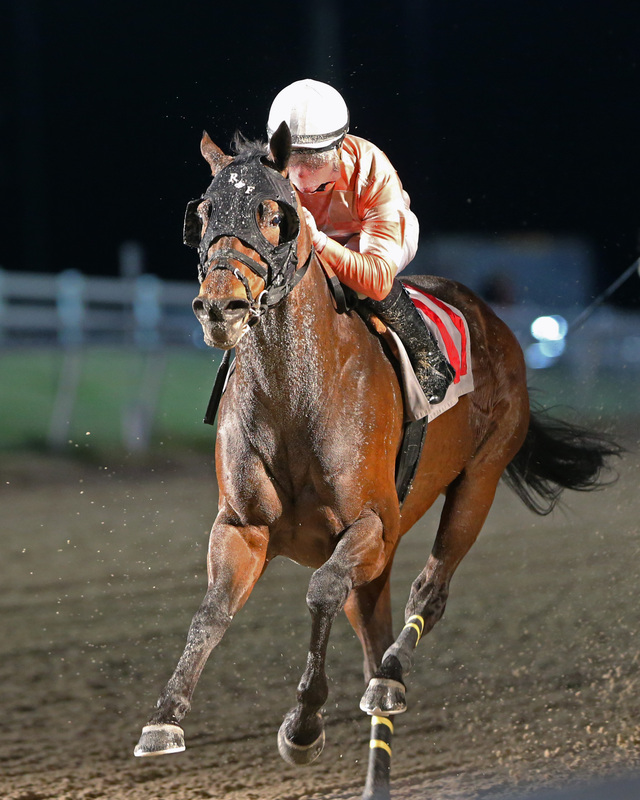 Trainer: Henry B. Johnson, Jr.
VINTON, LA. 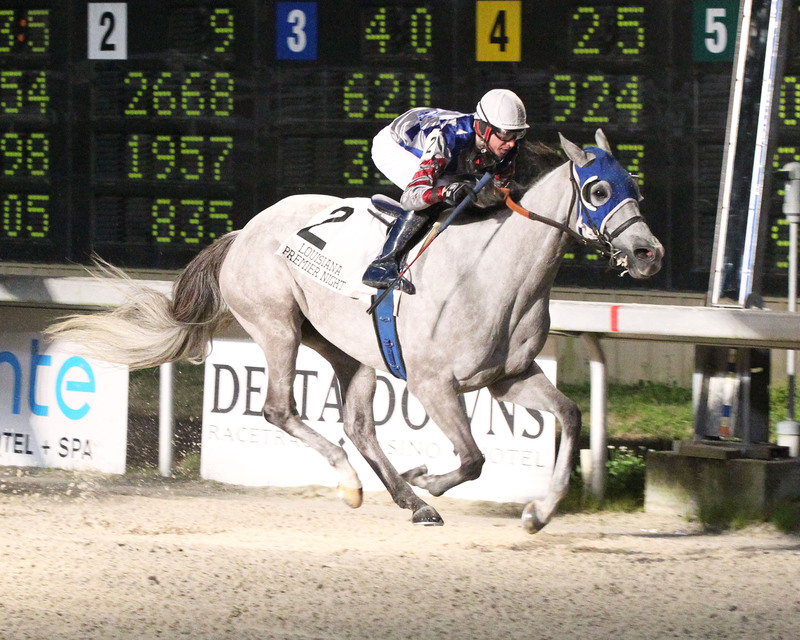 – Delta Downs hosted the $70,000 Pelican Stakes on Saturday night and it was James A. Boyd’s Jimi’s a Star who prevailed under jockey Emanuel Nieves. 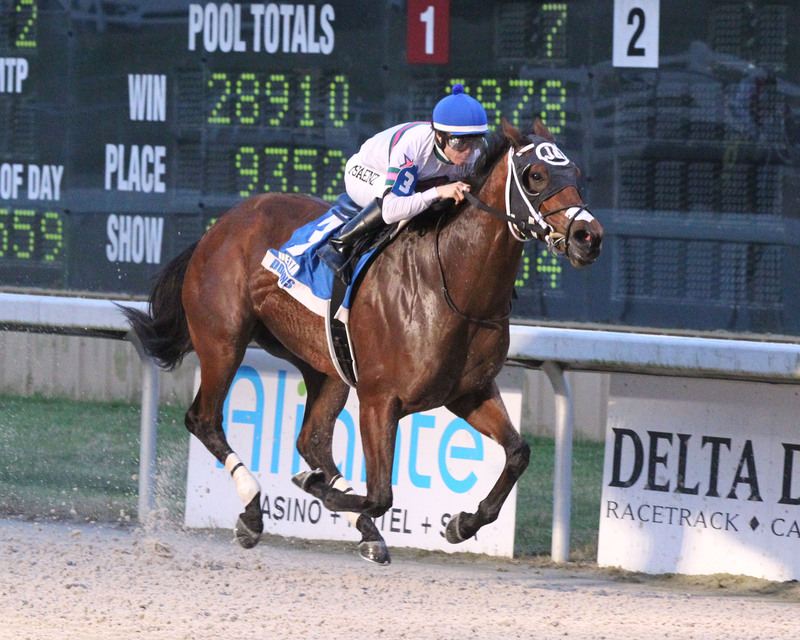 The winner is trained by Henry B. Johnson, Jr. 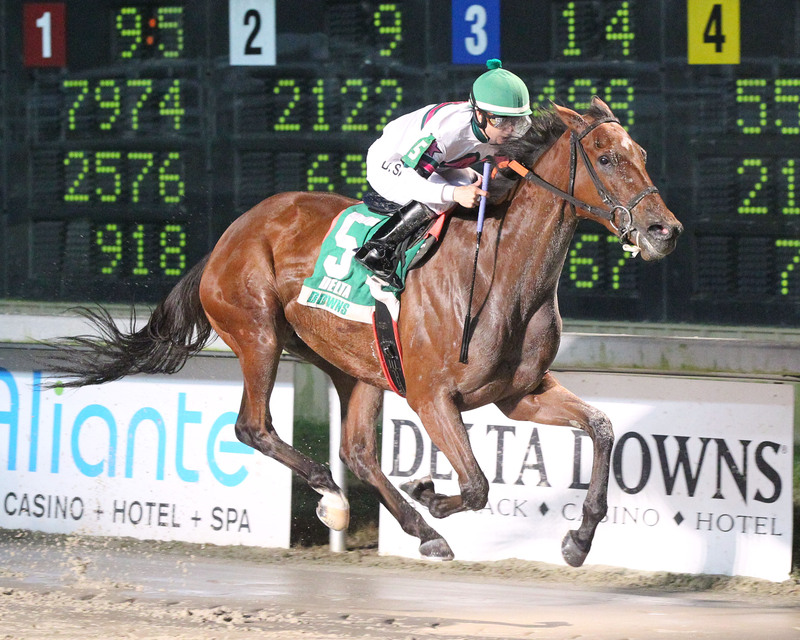 Sent to the gate as an odds-on favorite, Jimi’s a Star was taken back early in the seven-furlong Pelican as Conniejoe set the early fractional times of 23.57 seconds for the opening quarter-mile and 48.40 for the half. 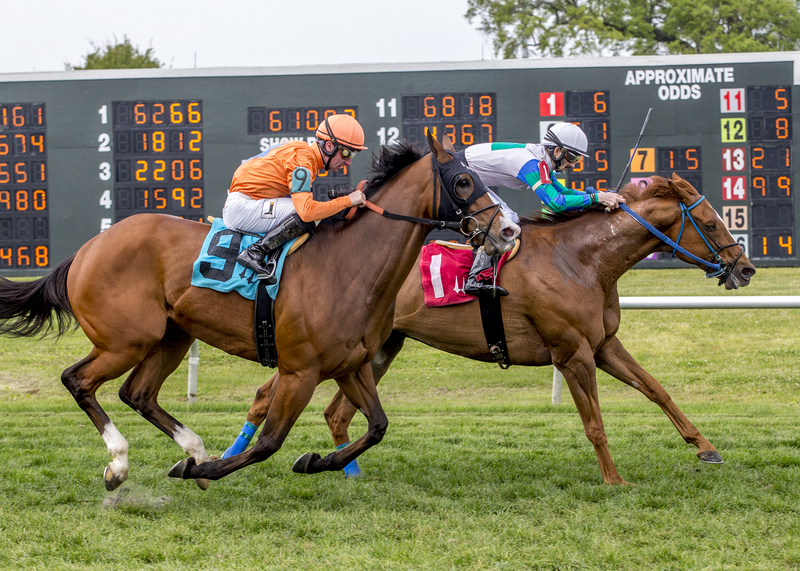 Midway up the backstretch Jimi’s a Star began a sustained rally that put him within three lengths of the lead with a furlong to go. 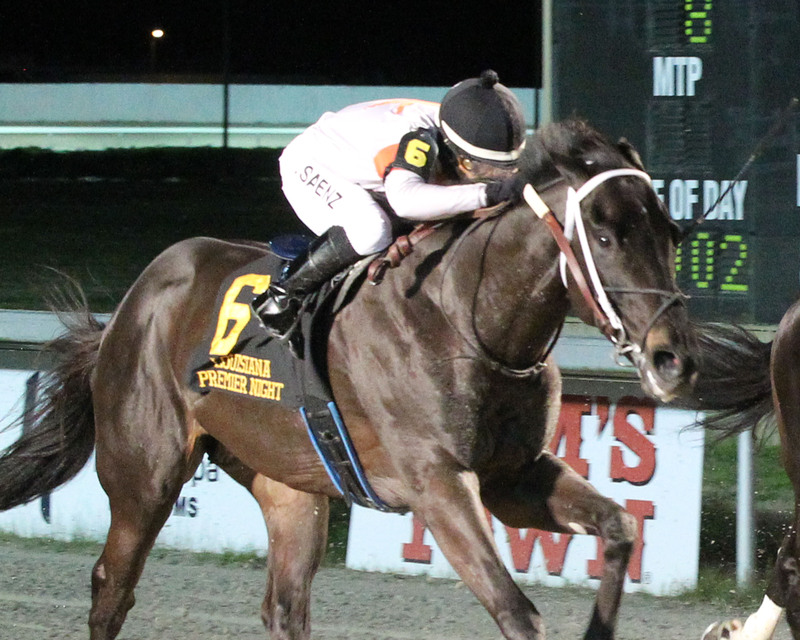 In the stretch he rallied passed his competition and reported home ¾ of a length in front of Titanium Pledge who finished second and Power Jet, who was another neck behind in third. VINTON, LA. 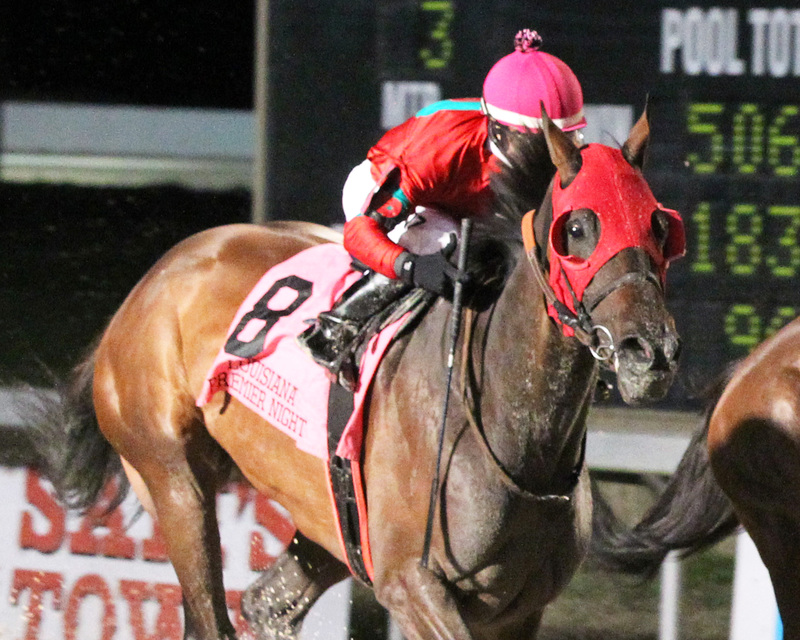 – Crescentcitypretty used a strong performance to notch the first stakes of her career in the $70,000 Azalea Stakes at Delta Downs on Friday night for owner Brittlyn Stable, Inc. 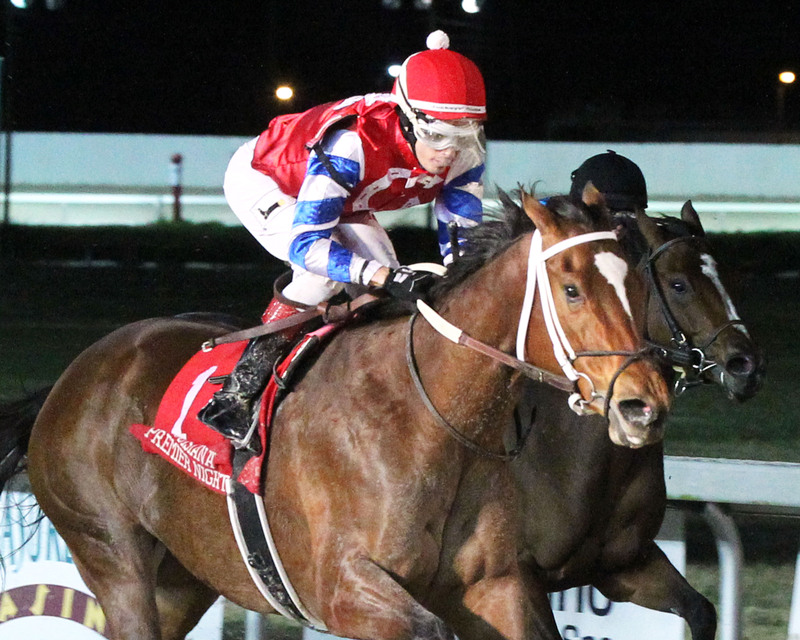 The 3-year-old daughter of Bernardini won the race under jockey Diego Saenz who got a leg up from trainer Jose Camejo. 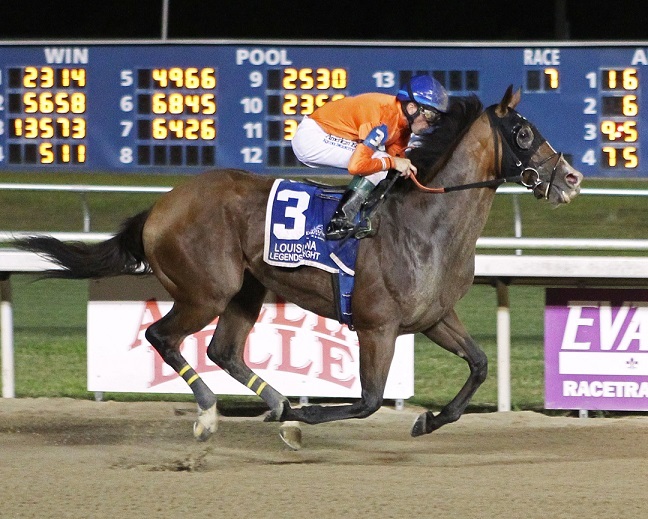 After breaking sharply, Crescentcitypretty pressed the early pace set by Blowing Bayou, who carved out fractional times of 23.54 seconds for the opening quarter-mile and 48.35 for the half in the seven-furlong test for sophomore Louisiana-bred fillies. 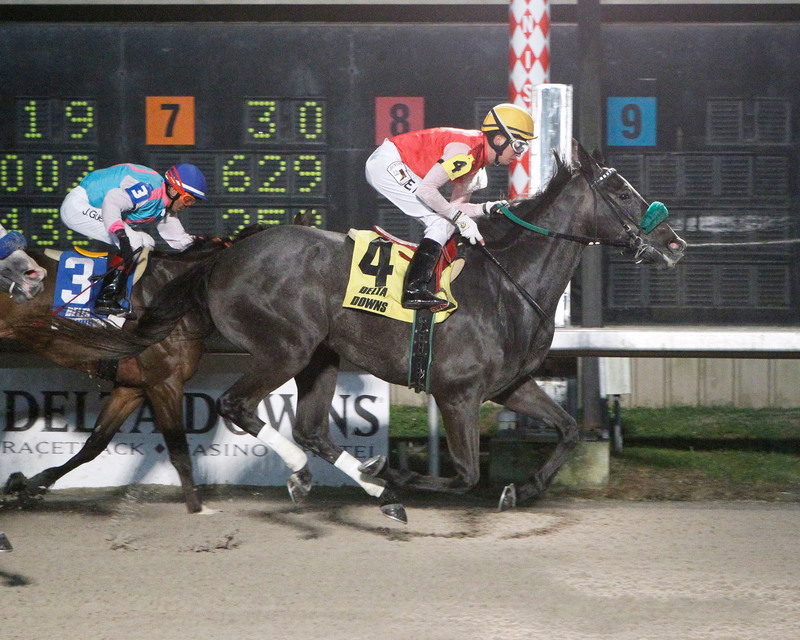 Saenz began to ask for more run going into the far tun and Crescentsitypretty responded by putting away Blowing Bayou and opening up in the homestretch. 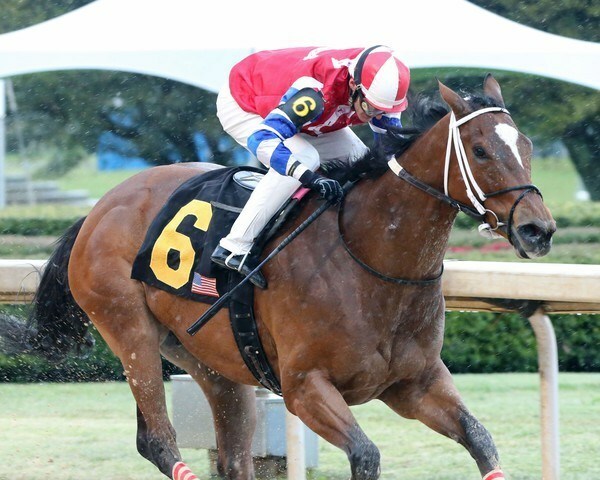 At the finish line she was 5-3/4 lengths better than Fortune Got Even who just nosed out Madeforlife for the place. 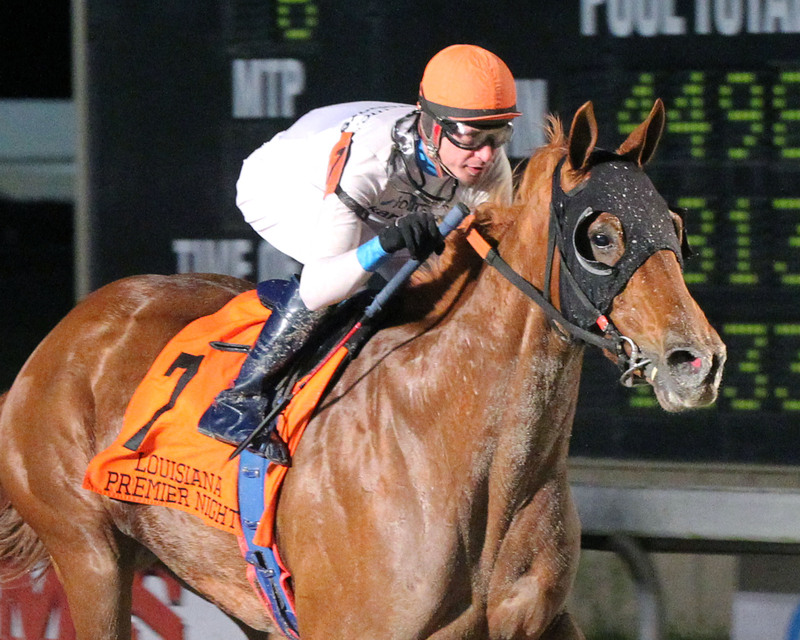 Louisiana Premier Night Championship S.
Breeder: James A. McGehee Jr.
Louisiana Premier Night Distaff S.
Trainer: Sam B. David, Jr.
Louisiana Premier Night Matron S.
Louisiana Premier Night Prince S.
Breeder: Cloyce C. Clark, Jr.
Louisiana Premier Night Ladies Starter S.
Breeder: Gerald L. Averett, Jr. Owner: End Zone Athletics, Inc.
Louisiana Premier Night Gentlemen Starter S.
Louisiana Premier Night Ragin Cajun Starter S.
Louisiana Premier Night Bon Temps Starter S.